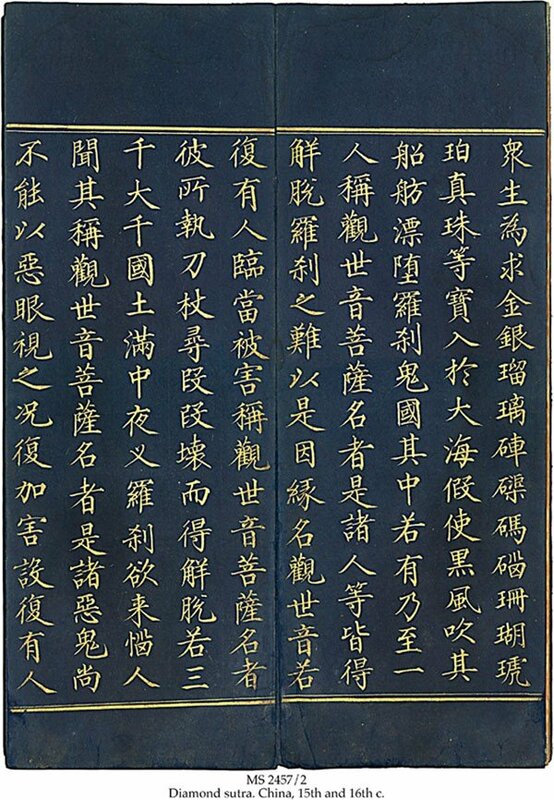 Description	 MS in Chinese on indigo stained paper, China, 15th and 16th c., 158 ff. 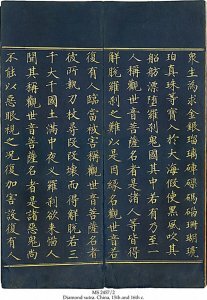 (complete), 32x11 cm, 5 columns (21x10 cm), 15 characters in Chinese book script in gold ink. Binding	 China, 19th c., bluish pattern brocade on boards, concertina-folded format (Jingzhe zhuang). Context	 Companion volume to MS 2457/1. Provenance	 1. Philosophical Research Society library, Los Angeles (ca. 1945-1995); 3. Sam Fogg cat. 19(1998):12. Dates	 15th and 16th c.